The second largest city in Portugal seems to have it all – great port wine, an imperial past, medieval architecture, and welcoming people. 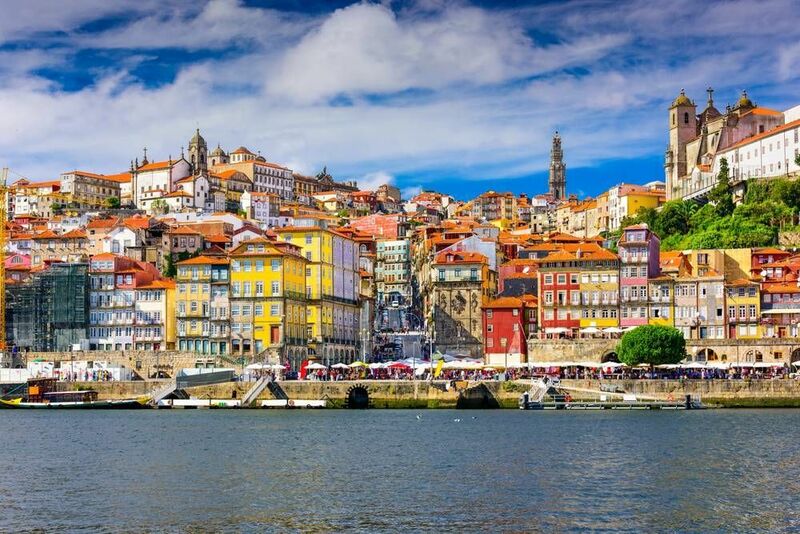 Adorned with cobblestone streets and 19th-century architecture, Porto is a rich city that will take your breath away. One of the top sights in Porto is Palácio da Bolsa, a neoclassical palace built in the 19th century that commemorates Porto’s money merchants. The most impressive room in the palace is the Arabian Hall, whose walls are gilded with 18kg of gold. Another impressive sight is the Som Luis I Bridge, one of the many bridges in and around the city of Porto. This double-decker bridge was the longest in the world when it was first built in 1886. One of the best ways to see Porto is by joining one of its free walking tours. Get to know the city, learn about the history, and mix with the locals for free. This tour has everything you need and more to become an expert in Porto history. Run by Pancho Tours, this tour is led by a team of knowledgeable guides that can answer any questions you may have about Porto and Portugal’s history, culture, and architecture. It takes approximately 2.5 hours. This awesome tour group adds a comedic flair to the tour to keep you entertained. Explore Port's Old Town and the City Wall. Walk to the iconic city Bridges, parks, squares, and much more. Throughout the trip, learn everything you need to know about Port Wine production, Portuguese culture, and even the latest gossip! Walking with Eugenia, your knowledgeable tour guide, through the streets of Porto is an excellent experience. This 3-hour tour will take you to the Jardim das Oliveiras, Imperial Café, Ponte Luís I, and Sé Catedral. Learn about Porto’ fascinating from one of the most experienced tour guides in town. Eugenia is great at answering questions and adding a bit of trivia to the tour. Are you from Porto and want to be a tour guide? Please get in touch by submitting your details on this page!